Jeri & Henri Gutner have been THE Top Producing Agents in the Central Bucks School District for the past 18 years! 23 years of Experience mixed with High Tech and High Touch make home buying and selling with the Gutners a Fun and Rewarding Experience. We offer Full Service "One-Stop Shopping" making your purchase easier and more affordable. Mortgage Services, Title Insurance, Home Insurance, Concierge Services including Painters, Plumbers, HVAC, etc. are all available to you if you desire. Jeri and Henri Gutner reside in Buckingham and have three children: Gabe, 27, a recent graduate of Aeronautical Sciences at Embry Riddle in Daytona Beach and a Philadelphia Police Officer, Cecilia 26, who recently passed her CPA exams and works as the Senior Accountant for the Hunger Project in New York City, and Alexia, who is married, lives in Plumstead and works as a High School Guidance Counselor. Alexia has made the Gutners’ lives complete by giving them 3 grandchildren! Jeri and Henri moved to Bucks County in 1994 after a serious illness that left Henri in need of a kidney. When doctors were able to transplant Jeri’s kidney in Henri, he owed her big-time and Bucks County was where she wanted to be! The Gutners believe that Bucks County is the best place in the world to live, work and raise a family. 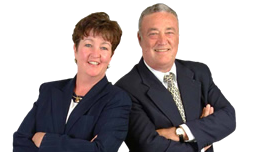 Ranked #1 in sales in the Central Bucks School District for the past 12 years, Jeri & Henri Gutner and their Awesome Team of Professionals take all the stress and worry out of the homebuying and selling process.